 Founded in 1999, Southeast Lineman Training Center (SLTC) is the premier training school for lineworker training; consistently producing an elite group of highly trained and certified graduates. We accomplish this through a training style and philosophy that is unlike any other program offered in the country which has earned us an outstanding reputation in the linework industry. Many companies now require applicants to attend SLTC before they will be considered for employment. We offer training courses in electrical and communications line work here on campus through our introductory programs and advanced industry training in Trenton, GA as well as on-site training with companies around the world. To provide training in a realistic and challenging environment, where individuals can establish the foundation necessary to succeed as lineworkers in the electrical utility and communications industries. We do this by instilling into each student our three core educational values: Knowledge, Discipline, and Ability. Click Here to get started in the CLP Program. How long does it take to know if I have been accepted?